Well, play testing didn’t happen this week. However I did update the rules that makes it flows better and reprinted the cards that was changed so I will be ready for the next play test. The biggest change this week was reworking the info box again. 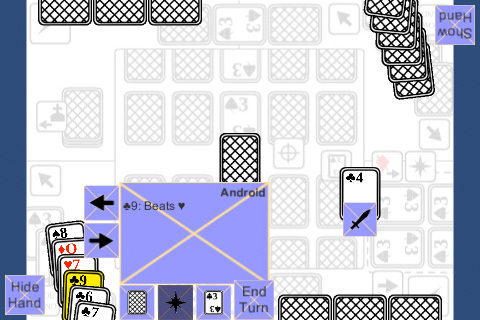 I noticed an issue with the previous layouts so the screenshot above shows the latest version, where it doesn’t cover any of the board. This will also alter the way the discard pile is done which I still have to figure out. I also fixed all the little things mentioned last week. What’s next: Time to tackle that discarded cards layout. I first have to figure out how players would filter/search through them first.